Discussion in 'Android Questions' started by Erel, Dec 12, 2016. I'm happy to release B4A v6.50! The formatting happens when you paste code (can be disabled) or when clicking on Alt + F. In the later case the enclosing sub will be formatted or the selected code if the selected text is not empty. Block autocomplete improved. It better handles nested blocks and also completes #If and #Region keywords. Manifest editor support for #Region blocks. View.Padding property. Sets the distances between the view's borders and the content. It can also be set in the designer. PhoneSensors.Accuracy and TimeStamp properties. Return the values of the current event. OkHttp v1.02 - Fixes an issue where headers were not available when the response status code was not 2xx. 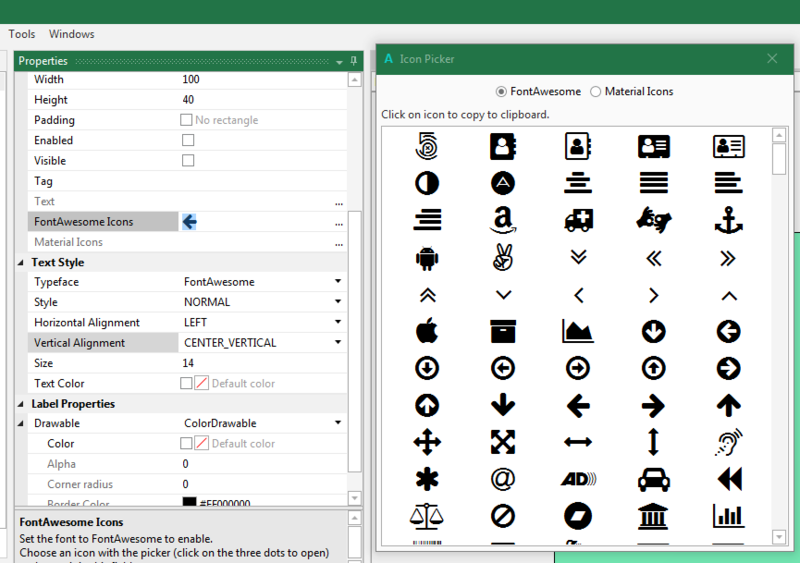 Application.Icon property - Returns the application icon as a bitmap. Jumping to a bookmark moves the bookmark to the center of the editor. B4ABuilder - The output parameter supports passing the full path instead of just the APK name. There were changes in the layout files format. Layouts saved in v6.50 cannot be loaded in previous versions of B4A. Customers who are eligible for a free upgrade will receive an email with installation instructions. Other users will receive an email with an upgrade offer. bgsoft, zingo, GGSoft and 62 others like this. Thanks Erel! You are a GOD! Thanks Erel for supporting FontAwesome internally, it's much simpler. However I would highlight that an iOS app was suspended (and then approved) because inside an iOS app I had an Android icon. It was not necessary for me, so I've removed. So take care of that in iOS apps. Once more, Erel, thank you very, very much. Erel !!! Thank you for excellent news. Thank you, a good work as usual. It all just comes handy!!! Santa Erel came sooner this year! I am having an install problem. It says Dexer.jar failed to delete. All of my B4A programs are closed. Do I have to reboot and try again? Open Task Manager and kill any java.exe process. Thanks for my Christmas Gift ! Is this in Read and Write ? Erel, Thank you for making this platform better and better. aidymp and Erel like this.